Terance James Bond - Kersey, Suffolk. Britain's best-loved bird artist, Terry was born in 1946 and raised on a Suffolk farm where he developed his interest in wildlife and the countryside. He has been a professional bird painter for 40 years, living and working in Suffolk throughout his career. A Bond With Birds is the fifth book featuring his highly detailed paintings of British birds. Glynn Thomas - Capel St Mary, Suffolk. Born in Cambridge in 1946, Glynn attended Cambridge Art School during the creative 1960s, acquiring the drawing and print-making skills that would lead him to teach at Ipswich School of Art and later support a professional career as an intaglio printmaker in Suffolk. His detailed and highly original take on the towns, villages and landscapes of East Anglia and more distant locations has won him many fans. East Anglia - A Different Perspective is the first book to reproduce a large cross-section of his extensive portfolio, proving so successful that it went to a second edition. Michael Coulter - Woodbridge, Suffolk. Watercolour artist Michael Coulter is the former Head of Art at Suffolk’s Woolverstone School, working there for 21 years until early retirement in 1987 allowed him to pursue his career as a full-time painter. Michael works from field sketches and photographs taken on location. After the basic composition, he will layer in the details that make his work so easy to identify. He isn’t striving for perfection, but the picture must feel right. Our book Coulter’s Countryside reproduces more than 150 paintings spanning his career, and a second title focused on his coastal paintings is planned. Brian Lewis - Sheringham, Norfolk. Brian decided to ‘paint Norfolk’ in the early 1990s, bringing his Royal Academy-honed artistic skills to bear on Walsingham and Wells-next-the-Sea. Buyers of his work wanted the sun to shine and the sky to be blue, resulting in a vast portfolio of popular locations featuring his ‘Lowrey-esque’ figures, running dogs and stylised birds. The 165 different images reproduced in Blue Skies and Boat Trips represent a small part of an epic portfolio created over two decades. Mary Gundry - Blythburgh, Suffolk. Mary has a strong connection with the Suffolk seaside town of Southwold. Not only has she painted it for more than two decades, but has owned a gallery on the High Street and once had her own cherished beach hut facing the sea. Unlike visiting artists, who record the town only at its seasonal peak, Mary has been able to paint the most familiar places in all weathers and throughout the year. This is just one distinguishing feature of the portfolio captured in Drawn to Southwold. Margaret Glass - Barking, Suffolk. Margaret is recognised as one of the leading Pastellists of today. She is a past Vice-President of La Société des Pastellistes de Françe and a member of the English Pastel Society. In recent years she has also built up a growing reputation as a talented oil painter, able to capture the light with the same facility as in her pastels. Our book, Light Through Glass, reprodues 153 of her pastels and oils, covering East Anglian marine scenes and landscapes, Venice, interiors and floral themes. H J Jackson - Norwich, Norfolk. John Jackson was born in 1938 in Kings Lynn and lived in a railway house at Harbour Junction beside the main Kings Lynn to London line. In 1953 he cut his first piece of lino that helped him secure a place at the Norwich School of Art. In 1995 the opportunity arose to pursue printmaking full time. This has allowed him to increase the volume of new work and a representative selection from his vast portfolio is included in his first book. A second book, A Printmaker's Christmas, was published in late 2016 and features the artist's three decades of handmade Christmas card designs. Michael Warren - Winthorpe, Notts. Michael Warren has combined his twin passions of birdwatching and painting since he was a boy. He studied at Wolverhampton College of Art, and had his first solo exhibition in 1972. He is Treasurer of the Society of Wildlife Artists, and President of Nottinghamshire Birdwatchers. Taking Flight - the birds of Langford Lowfields was published by Mascot Media in July 2014 and reproduces 15 years of extraordinary sketches from the RSPB's new East Midlands reserve. Andrew Haslen – Preston St. Mary, Suffolk. Author of The Winter Hare, founder of the (now closed) Wildlife Art Gallery in Lavenham and respected wildlife artist, Andrew has developed an immediately recognisable form of linocut that is combined with watercolour to great effect. His technique, initial drawings, watercolour paintings and finished prints appear in Halcyon, launched by Mascot Media in October 2014. Roger Cockram - Chittlehampton, Devon. Barnstaple-born, Roger’s formative years saw him drawn to the science of the sea, studying Marine Ecology at the University of London’s marine laboratory in Portsmouth. Postgraduate research and teaching helped develop further his love for and understanding of marine life, but he eventually turned his back on science and academia to learn the skills of the studio potter under the guidance of the late Mick Casson and other influential figures at Harrow School of Art. In His Element showcases his marine-inspired pots that have won him an international following. Harry Becker (1865-1928) - Wenhaston, Suffolk. Becker was a remarkable artist of the late Victorian and Edwardian period, applying an impressionistic approach to rural subjects and compiling an unrivalled record of life and hard labour in the Suffolk countryside around the time of the Great War. The 2013 book Harry Becker's Suffolk takes the form of an artist's sketchbook and reproduces many previously unpublished sketches and drawings from his 15 years in the Blyth Valley. Robert Chaplin - Ludham, Norfolk. A graphic design graduate of Great Yarmouth College of Art & Design, Robert retired from a career in advertising to the Norfolk Broads and began producing highly original ink, pastel and crayon interpretations of local landmarks and scenes. Southwold, Great Yarmouth, the Broads and North Norfolk form the main chapters of the first collection of Robert's work in book-form, entitled Landmarks - The East Anglian Art of Robert Chaplin. Robert sadly lost his long battle with heart disease in June 2016. David Measures (1937-2011). Arguably the greatest British butterfly painter, David declined to sell any of his remarkable paintings and sketches of his beloved insects during his lifetime. He had a dream of seeing every species of British butterfly published in a book featuring his field notes and images. His observations of butterfly behaviour are unrivalled and he captures the shape, colour and movement of the insects with a unique style, working only in the field. In July 2016 we are proud to have published Kaleidoscope - The Secret Lives of Britain's Butterflies. Our revised and expanded book The Printmaker's Cat features 56 artists: Richard Bawden (Suffolk); Peter Collins (Gloucestershire); Mary Collett (Avon); Miriam Macgregor (Gloucestershire); Elizabeth Blackadder (Edinburgh); Ann Tout (Hampshire); Nicola Slattery (Norfolk); Sue Scullard (Kent); Angela Lemaire (Roxburghshire); Glynn Thomas (Suffolk); Yvonne Skargon (1931–2010, Suffolk); Alex Johnson (Kent); Sarah van Niekerk (Gloucestershire); Angela Harding (Leicestershire); Merlyn Chesterman (Devon); Rod Nelson (Gloucestershire); Chris Daunt (Northumberland); Mychael Barratt (London); Hilary Paynter (Devon); Kay McDonagh (Devon); Geraldine Waddington (Leicestershire); Mike Smith (Leeds); Mary Rossetti Rutterford (Dorset); Sanchia Lewis (London); Vanessa Lubach (Norfolk); Hilke MacIntyre (Fife); Ann Lewis (Gwynedd); Pauline S Hall (1918–2007, Warwickshire); Victoria Woodward (Leeds); Clare Sherwen (Shropshire); David Beattie (Cardigan); Sarah Young (Sussex); Alison Read (Lincolnshire); Chloe Cheese (London); Martin Leman (London); Beverley White (Lancashire); Mike Glanville (Devon). The July 2014 publication Blyth Spirit reproduces the highly individual work of 28 East Anglian artists inspired by Edwardian Suffolk-based painter Harry Becker. Our May 2015 book The Artful Hare features the work of 74 British printmakers along the lines of The Printmaker's Cat. A revised softback version of The Artful Hare will be published in summer 2018, with additions to the list of original artists. September 2015 represented the 20th anniversary of Norwich Print Fair. To help celebrate the occasion, Mascot Media produced a 144-page book featuring the work of 55 past and/or present members of the group. Fine Print includes work by: Nicholas Barnham, Vanna Bartlett, Kerry Buck, Ben Quail, Alison Wagstaffe, Rob Barnes, Colin Bygrave, Sarah Bays, Paul Bommer, Angie Lewin, Neil Bousfield, Martin Mitchell, Richard Coward, Louise Bird, Laura White, Amelia Bowman, Malcolm Wallis, Mandy Walden, Liz Clark, Polly Cruse, Vanessa Lubach, Jules Allen, Vanessa Burroughes, Laurie Rudling, Anthony Dunigan, Jo Stafford, Ivy Smith, Bronwen Edwards, Nicola Slattery, Chris Evans, Annette Rolston, T M Fairbank, H J Jackson, Gaia, Chrissy Norman, Cordelia Jones, Chris Gamble, Ernst Nicol, Niall Grant, Tricia Newell, Brigitte Anne Hague, Elaine Nason, Rita Kearton, Rebecca Hearle, Marilyn Jeffries, Vicki Johnson, Rory McShane, Sally Hirst, David Jones, Richard Horne, Colin Johnson, Clare Johnson, Tracy Myers, Gary Martin, Leanda Jaine Hughes. In May 2016, we published The Little Chicken Book with 54 UK artists contributing 160 images of domestic fowl. The printmakers are: Diana Ashdown, Caroline Barker, Rob Barnes, Richard Bawden, Sarah Bays, Sue Brown, Kerry Buck, Vanessa Burroughes, Moyra Byford, Olivia Clifton-Bligh, Mary Collett, Amanda Colville, Jenny Crocker, Jackie Curtis, Janice Earley, Ieuan Edwards, Andy English, Peter Firmin, Rosamund Fowler, Mike Glanville, Janis Goodman, James Green, Ruth Green, Celia Hart, Andrew Haslen, Emma Higgins, Tor Hildyard, Lisa Hooper, HJ Jackson, Jeremy James, Vicki Johnson, Victoria Keeble, Jill Kerr, Claire Knight, Ann Lewis, Sanchia Lewis, Vanessa Lubach, Hilke McIntyre, Debby Mason, Charlotte Matthews, Franchesca River McGarry, Moira McTague, Helen D Moore, Elizabeth Moriarty, Hugh Ribbans, Sue Ribbans, Linda Richardson, Mary Rutterford, Pat Schaverien, Sue Scullard, Nicola Slattery, Emily Smith-Polyblank, Geri Waddington, Teresa Winchester. June 2016 saw the launch of the most ambitious printmaking book yet, featuring the work of 96 artists. The Elegant Fowlis an owl-themed book and boasts 270 original prints contributed by: Adele Scantlebury, Andrew Stock, Andy English, Ann Tout, Anna Pye, Anna Tosney, Annie Soudain, Beverley White, Brian Hanscomb, Caroline Barker, Carolyn Murphy, Carry Akroyd, Catherine Bowdler, Celia Hart, Charlotte Matthews, Chris Sinden, Emerson Mayes, Emma Higgins, Fiona Thomson, Frachesca River McGarry, Geri Waddington, Glynn Thomas, Greg Poole, Hannah Firmin, Hazel McNab, Hester Cox, Hilke MacIntyre, Hugh Ribbans, Ian MacCulloch, Isabel Hutchinson, Jackie Curtis, James Green, Janice Earley, Jennifer Merrell, Jenny McCabe, Jenny Portlock, Jeremy James, Jill Kerr, Julia Manning, Kerry Buck, Kim Atkinson, Kittie Jones, Leslie Lindsay, Linda Richardson, Lindsay McDonagh, Lisa Hooper, Louise Scott, Luna North, Mary Collett, Mary Rutterford, Matt Underwood, Mea Bateman, Michael Webb, Mike Smith, Moira McTague, Moyra Byford, Nick Wonham, Nicola Slattery, Nik Pollard, Olivia Clifton Bligh, Pam Grimmond, Pat Schaverien, Peter Brown, Peter Firmin, Peter Partington, Philip Kingsbury, Pragya Agarwal, Richard Allen, Richard Bawden, Richard Jarvis, Rob Barnes, Robert Gillmor, Robert Greenhalf, Rosamund Fowler, Ruth Green, Sally Elford, Sarah Bays, Sarah Robley, Stuart Brocklehurst, Sue Farrow Jones, Sue Scullard, Teresa Winchester, Thelma Sykes, Tor Hildyard, Tracy Myers, Tricia Newell, Valerie Greeley, Valerie Sims, Vanessa Lubach, Vanna Bartlett, Victoria Keeble. David Quantrill is a Suffolk-born painter of vivid imagination and great talent. From early figurative pictures using pastels to his later acrylic-based abstracts, David shows a remarkable eye for colour and composition. His first book A Breath of Fresh Airwas produced by Mascot Media in August 2016. Darren Rees has been a member of the Society of Wildlife Artists (SWLA) since 1985. He has captured on paper and canvas the landscapes and animals of both polar regions. Our book Ice Bound represents an illustrated diary of his 2015 residency on board HMS Protector during her Antarctic patrol. King, Chinstrap, Adelie, Magellanic and Rockhopper penguins feature in the book, along with Humpback whales, Elephant and Fur seals, plus various species of albatross and petrel. Carry Akroyd (Northants) is a wildlife and landscape painter and printmaker. Our book Found in the Fields captures the breadth of Carry’s interest in the landscape. At its core is her lithograph series ‘Found in the Fields’, sixteen images incorporating words from the poet John Clare, a recurring theme in her work. In her painting and printmaking Akroyd portrays landscapes both familiar and re-imagined, finding wildlife and nature around the margins of agribusiness. Throughout, her enjoyment of colour and sense of composition combine productively with her eye for bird life and botany. This book brings together the persistent threads in her work over a period of years, revealing through the range of media employed all the motifs that evolve as her own personal symbolism for change and continuity in the countryside. Robert Gillmor MBE (Cley, Norfolk) is a founder member and past President of the Society of Wildlife Artists. He is arguably Britain's greatest living wildlife printmaker, specialising in exquisite linocuts. Our new book Pressing On - A Decade of New Linocuts reproduces 160 prints created since 2006, including 46 Royal Mail Post & Go stamp designs (birds, farm animals, winter wildlife), more than 30 New Naturalist Library covers, 30 gallery prints, Christmas card designs and more. Inspired by Nature.David Trapnell, founder of the Nature in Art museum in Gloucestershire has selected a varied portfolio of two- and three-dimensional artwork from the historic collection for a new book that helps celebrate 30 years since the museum opened at its current location. Jonathan Pomroy is a Yorkshire-based wildlife and landscape artist with a particular fascination for Swifts. A book on this enigmatic species is due in August 2018, illustrated with Jonathan’s sketches and paintings that capture the behaviour of the birds during their short stay in the UK. Paul Harley – Norwich, Norfolk. A photographer who has created a large portfolio of the strange and often beautiful wooden engraving on bench ends etc in Norfolk’s many churches. His first book will be published in late summer 2018, reproducing more than 120 of these striking black and white images. Cambridge Original Printmakers. 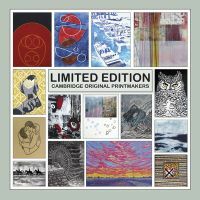 A book featuring the work of more than 40 Cambridge-area artists exhibiting a variety of printmaking skills and subjects is due for publication by September 2018. List of contributing artists to follow.